Triple-milled solid shaving soap in aluminium tin. Cosmo scent. Earn up to 31 Reward Points for this item. Triple-milled special edition shaving soap from Saponificio Varesino (for Cosmoprof 2016 international fair) scented with a mix of Citrus of Sicily, coffee, nutmeg, coriander, pepper, vetyver, sandalwood, incense and vanilla. 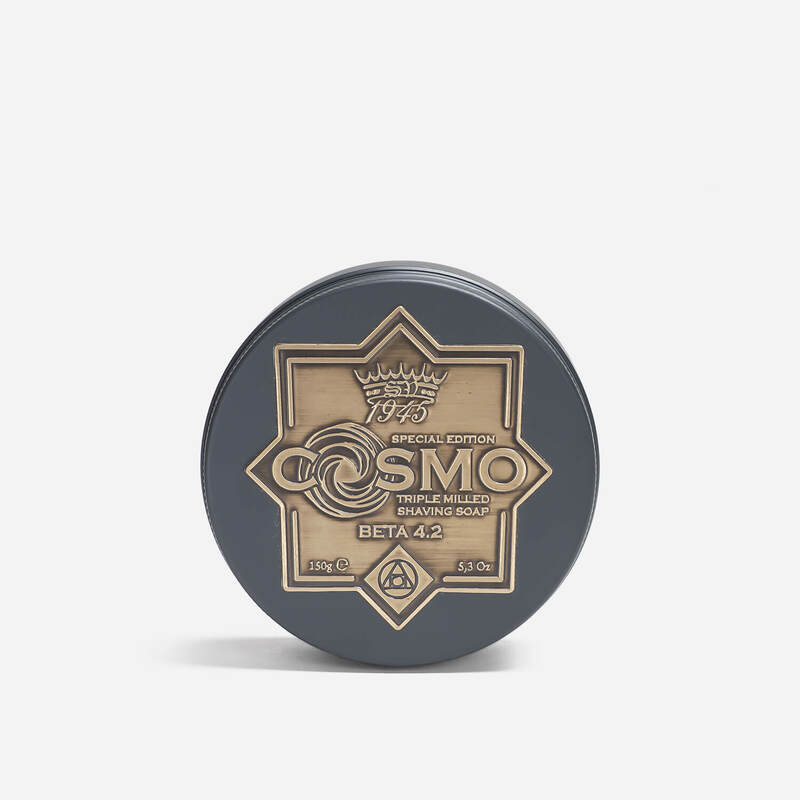 The Cosmo soap is formed using Saponificio Varesino’s ‘beta 4.2’ formulation, which has evolved to offer increased slickness and combat post-shave dryness. The ‘beta 4.2’ formulation also includes a new vegetal compound, based on castor oil, that offers added lubrication. 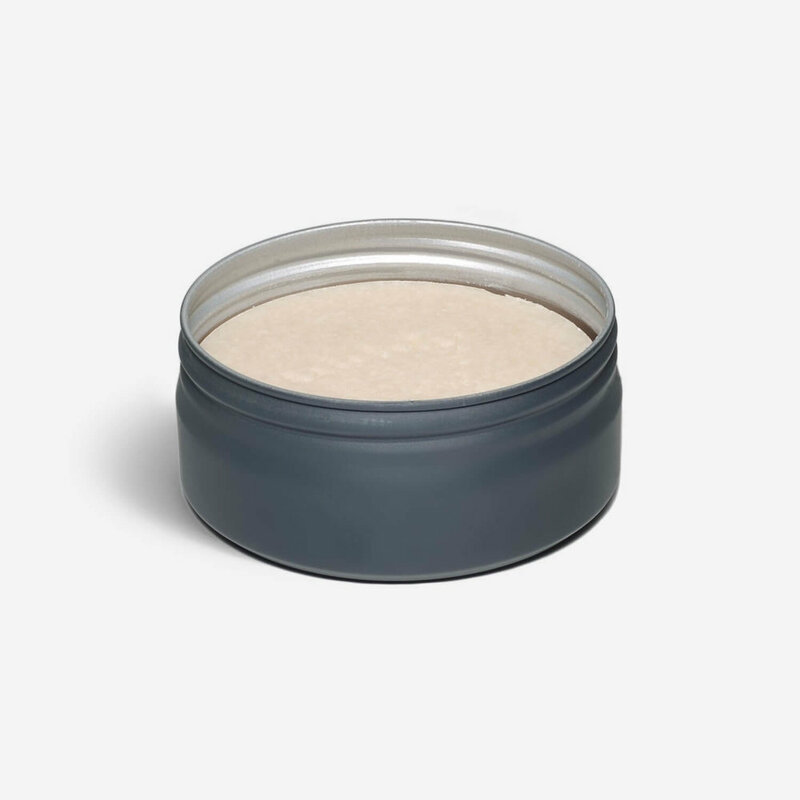 The soap is made in Italy and housed in an aluminium tin with a metallic antique brass label. Excellent service – next day to the highlands 😀 – Anthony recommended this soap for me to try being new to DE shaving i had tried a couple of other soaps but the Saponificio Varesino is just Heavenly on the skin a joy to lather on and just works so well. Excellent service from Shave Lounge – fast and efficient. I am a great fan of Saponificio Varesino, and the Cosmo is no exception,but I prefer the scent of the 70th Anniversary soap. This being said, the slickness and cushioning of the lather is, as always, superb. I would rate S.V. as the very best there is – superior to Trumper, DR Harris or Taylors in terms of lather quality and quantity. I have heard that Antica Barbieria Colla soap is one to beat….we will see! Thanks again, Shave Lounge. lathers immediately offering a great protection to the skin.